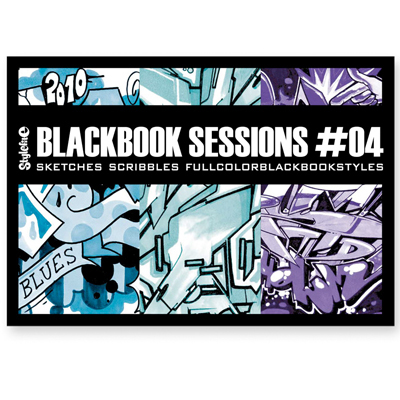 Eight years after releasing the first part of the STYLEFILE BLACKBOOK SESSIONS series, we take a ride on the fourth round – an army of writers is still not sick of bringing a style forward, which was sometimes developed over some decades. If you take a look at pieces done on walls or trains, you can easily see the changes from the outside – but a sheet of paper is still the fundament for cultural and generational letter bending. This base, mostly collected in blackbooks and protected like it was the very own eyes, has ever been the object of desire for everyone interested in graffiti – including the powers of the state, which often have been left in the dark. 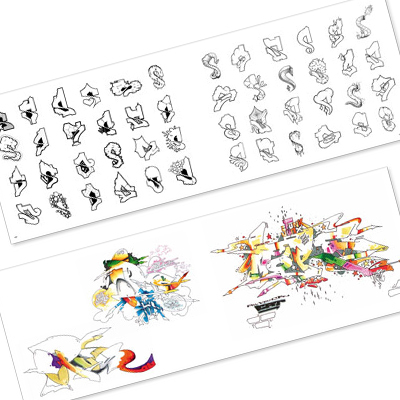 Graffiti in public space is therefore to be seen by everyone, but the sketch is normally hidden in a secret place. 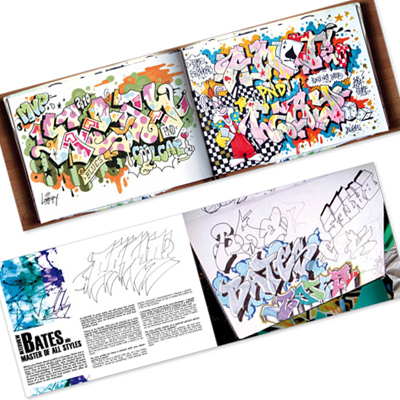 This book features sketches done by the international graffiti elite – no matter if they are done with all the heart for the smallest detail or as a quick scribble with a simple pen. They are the beginning of everything. How could you better present your ideas, than drawing them? Sketches are the visualisation of your thoughts. It often depends on details, if a finished masterpiece evolves from this or it already is a completed piece of art. A wrong stroke here or an unnecessary arrow on the other side, once went too far on a limb or been to shy – paper does not lie to you and it doesn’t take bribe. Those different starting points show the variety, dynamics and the power of letters, they prove creativity, persistence and sometimes obsession by the creator. The results of sleepless nights and emptied pens are presented on 160 pages with 250 sketches, 50 in colour. In the same place they document the history of an unstoppable movement. Softcover, 160 pages, 23cm x 16cm, Texts: German/English.